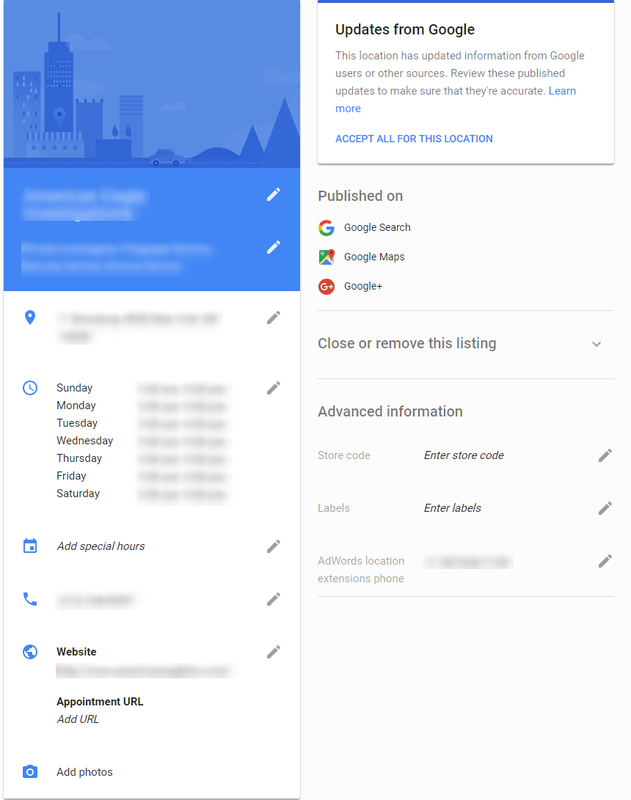 If you manage listings in Google My Business (GMB) you have likely seen the message inside GMB letting you know that some of your businesses data has been changed. This is what the message looks like in the main area of the GMB Dashboard. Once you click on “Review Updates” you will be taken to the “edit” interface with another message from Google. This is also where you will see exactly what data has been updated. 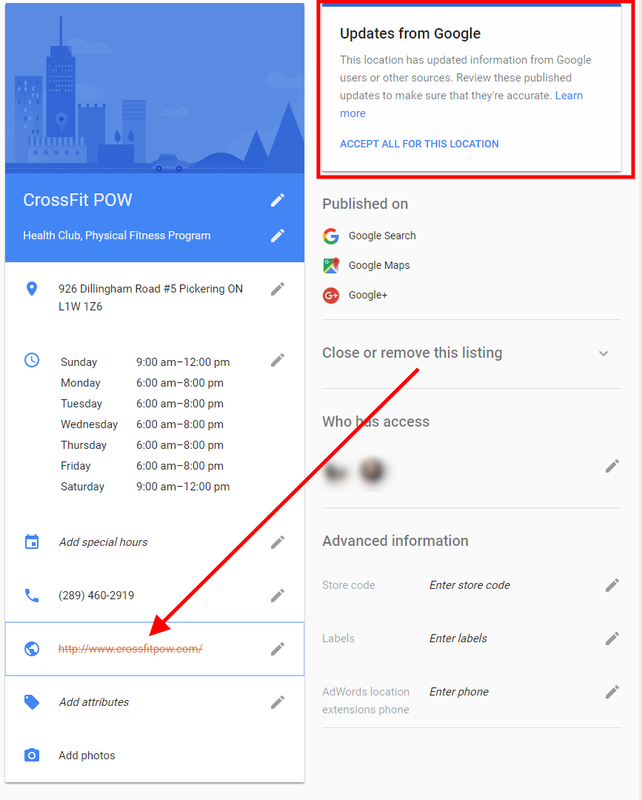 In the example below, GMB is letting the business owner know that a person or a bot has suggested to Google that the website should be removed from the listing. This is not an ideal situation for the business owner, especially because the edit is already live even though Google makes it appear like you can deny the edit. Tip: Do some investigating into why Google is suggesting this edit. I share one way to troubleshoot this at the end of this article. 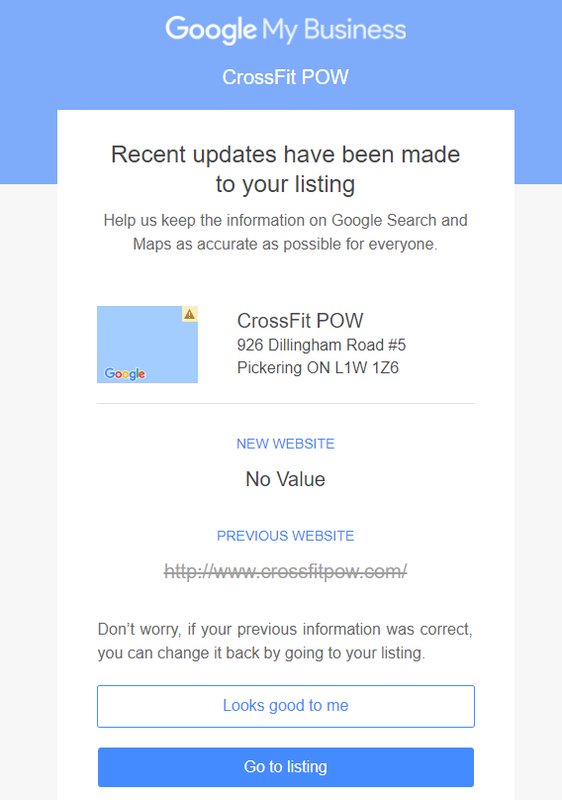 Google is now e-mailing page owners and managers whenever there is an update to the listing. Google also just officially announced that these notifications are happening. It’s VERY important to note that these edits are already live on Google. But you have the ability to revert it if it isn’t correct. This is why it is so important not to ignore these notifications. Here’s what a notification e-mail might look like. The above scenario is working as intended and is a great feature of GMB and an even better reason to claim and owner verify your listing if you haven’t already. But as of late I have been noticing a scenario that will throw you for a bit of a loop. If you have logged into GMB in the last few months you probably noticed this as well. In the screenshot below you will see that there is an “updates” notification from Google. However, there are zero actual updates to review. It’s like a “ghost” edit. What’s up with that Google? Why Does This Happen and What Do I Do? What is happening in a lot of these cases is that Google has updated the attributes that can be associated with the business but they aren’t editable in the dashboard yet. I believe this is a bug and Google shouldn’t actually be notifying you for these updates. Do not worry. In these cases, the best thing to do is just accept the updates so it clears the notification from the dashboard. When Google MapMaker was still around it was easy to check and see who made the edit, what the exact edit was, and when the edit was made to a business listing. This was one of the reasons why Map Maker was such an incredibly valuable tool for digital marketers. 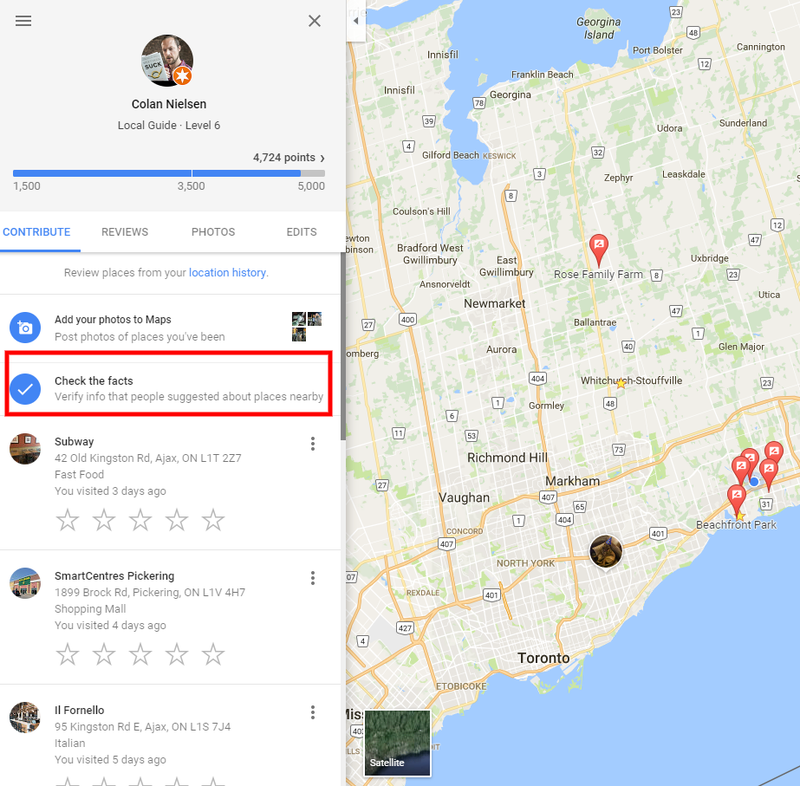 With the departure of Google Map Maker on March 31, 2017, the ability to see what type of suggested edits to a business listing has become more challenging…but not impossible. 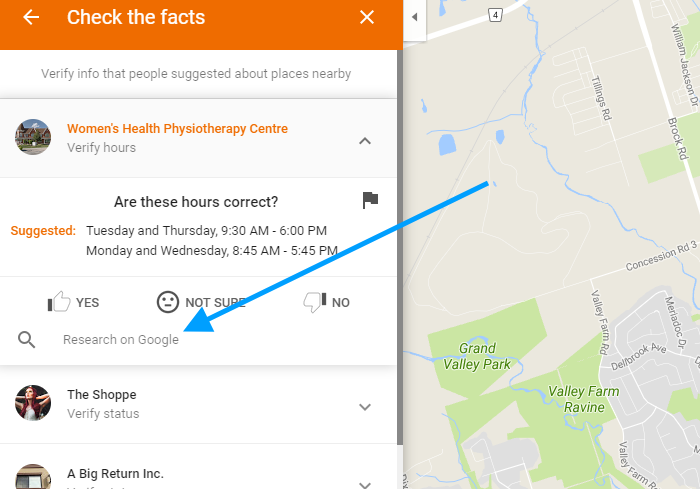 Still relatively unknown, and definitely not discussed a whole lot in the Local SEO communities, is a feature in Google Maps called “Check The Facts” that allows users to look up business listings on maps and see which ones have suggested edits pending review. 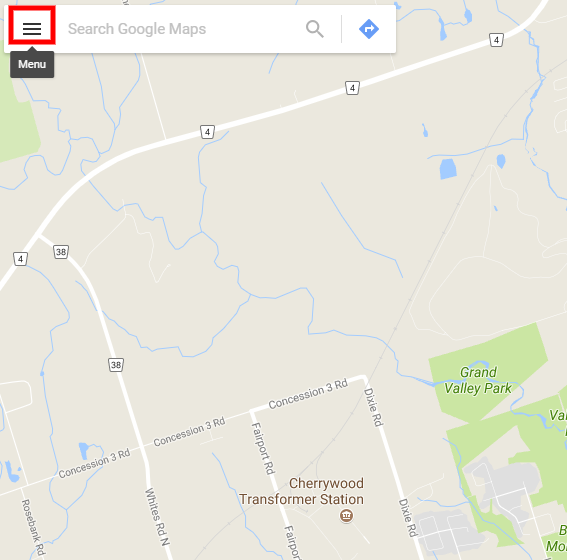 Navigate to Google Maps and select the menu in the top left of the screen. Select “Your Contributions” and “Check The Facts”. Here’s where it becomes a bit challenging. Currently there is no search feature. So you can’t simply search for the business that you want to check. Instead you need to dust off your navigating skills and manually locate the business on the map. I’m sure you can already tell how annoying this task can be. Once you do this a few times though you will become a pro. Once you find the listing on the map you will know if it has a pending edit because the map label will be a red or orange plus symbol. Click on the label and on the left side of the screen Google will tell you what the suggested edit is and give you the option to agree, disagree, or indicate that you aren’t sure. What I also like is that Google includes a link to “Research on Google”. Clicking on this link takes you to a branded search result for that business so you can perform research to confirm if the edit should be approved or denied. This tactic is valuable not just for times when GMB indicates that you have an update to your listing even though there are no visible updates in GMB. 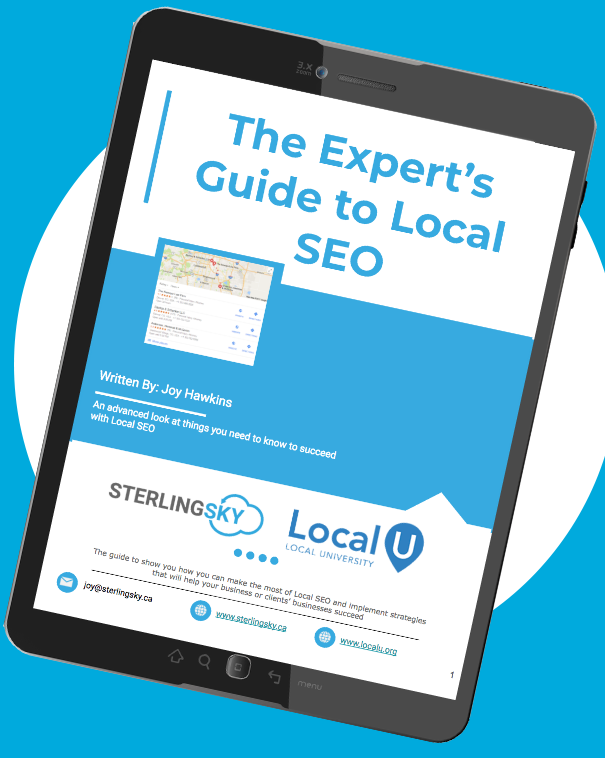 But it should also be a general troubleshooting tactic when you are doing Local SEO audits or simply trying to diagnose a ranking issue. It can also be a valuable tool when analyzing competitors listings. So add this one to your toolbelt and have some fun with it. Have you seen these “ghost” edits in GMB? Have you tried the “Check The Facts” tactic out before? Was it useful? Great post as usual. I’m also seeing that there are updates pending, but when you review the changes, there is nothing listed that’s changed. Is this currently a bug as well, or is there something that has changed that I’m not noticing? Hi Chris! I cover that scenario in the article. Just accept the (non-existing) edit, grab a beer and move on. Sorry, I read that incorrectly. I thought you were saying that the attributes changed but aren’t editable. I’m able to see the attributes and edit them in my listings. Awesome post Colan!! I’ve read it twice and shared with everybody. The ghost edit fix is only on mobile correct? I logged into a client GMB in Sept and found that someone had suggested a URL change and changed all three biz categories. Almost had a heart attack! Then Joy Hawkins said that it was already LIVE those changes and you’ve confirmed this here. That’s scary on an owner verified listing!! Hi Dat, glad you found it useful! The ghost edit is when you login to GMB and there is a message that something has changed, but nothing has visibly changed. In this situation, nothing has likely changed on the live listing either and all you need to do is accept the ghost edit to clear the message from your dashboard. I would also check the live listing just in case. I’ve run into this before, and have used this tactic successfully before. Recently one of my client’s listings was receiving the same notification, but I could not find any pending edits. I contacted GMB support and was told that there is indeed a bug with this feature and logged a ticket. Before logging a ticket, use the recommendation for checking your “ghost edit,” and if nothing can be found, request a ticket be logged. It’s listed as a known bug.